As part of the Third Ear: Japan festival taking place from November 7th-11th, a pub quiz in english will be held on Wednesday night at Living Room cafe bar. The quiz will focus on Japan and comprise of different categories covering all aspects of Japanese culture and life. Registration for teams begins at 7pm. 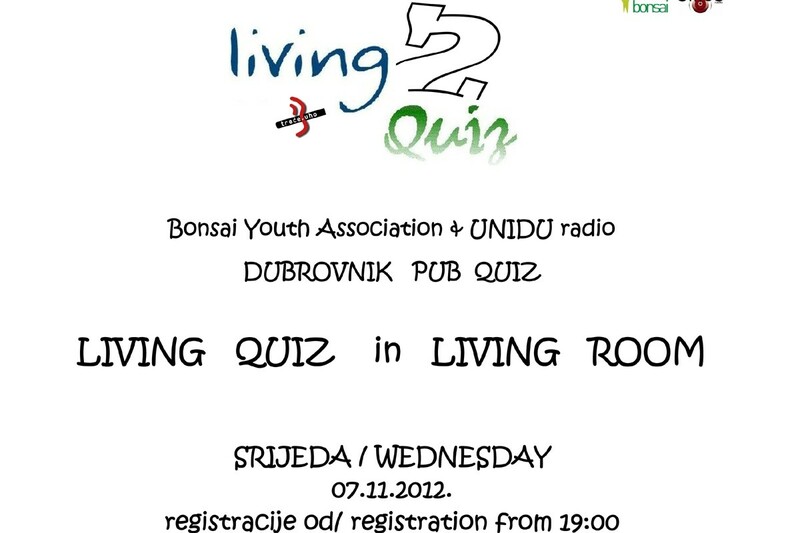 For more info visit facebook.com/Living quiz or www.mladibonsai.hr .